Invisalign® andClear Aligner® are the invisible way to straighten your teeth using a series ofcustom-made, removable and comfortable aligners that no one can tell you’rewearing. They have been proven effective in both clinical research and inpractices nationwide. 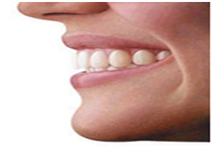 Their technology can straighten crowded, rotated, ortilted teeth, using impressions taken by your orthodontist. Consult yourorthodontist at Lumident to consider one of these products to give you thebeautiful smile you’ve always wanted-without braces!